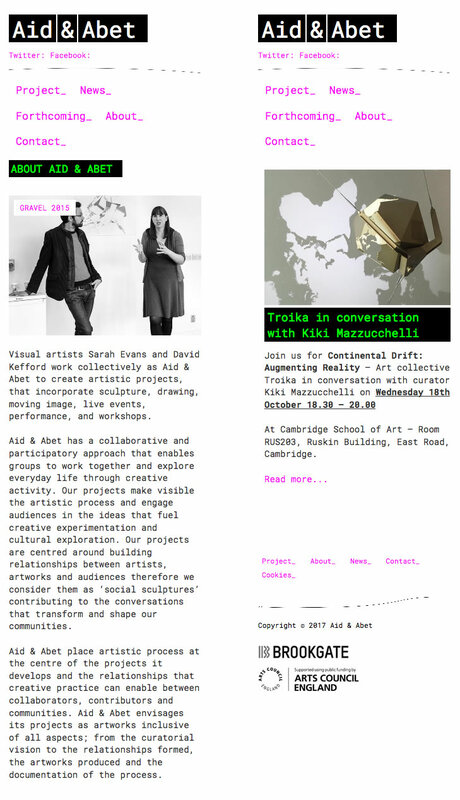 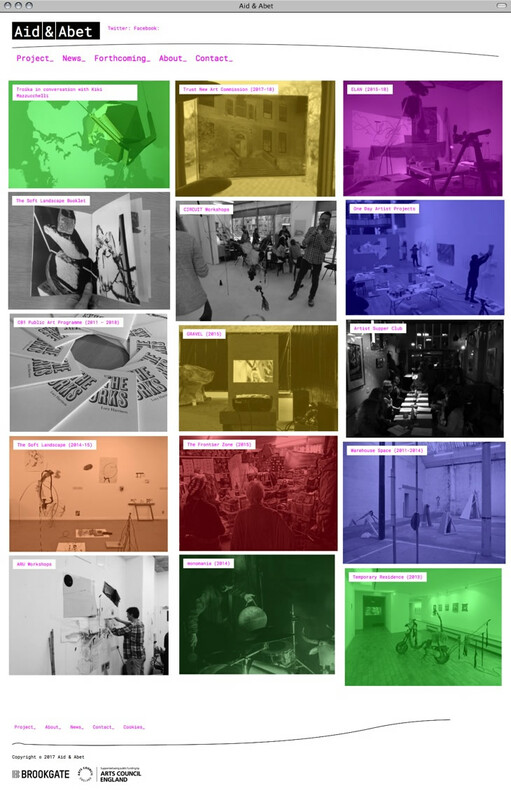 Visual artists Sarah Evans and David Kefford work collectively as Aid & Abet to create artistic projects, that incorporate sculpture, drawing, moving image, live events, performance, and workshops. 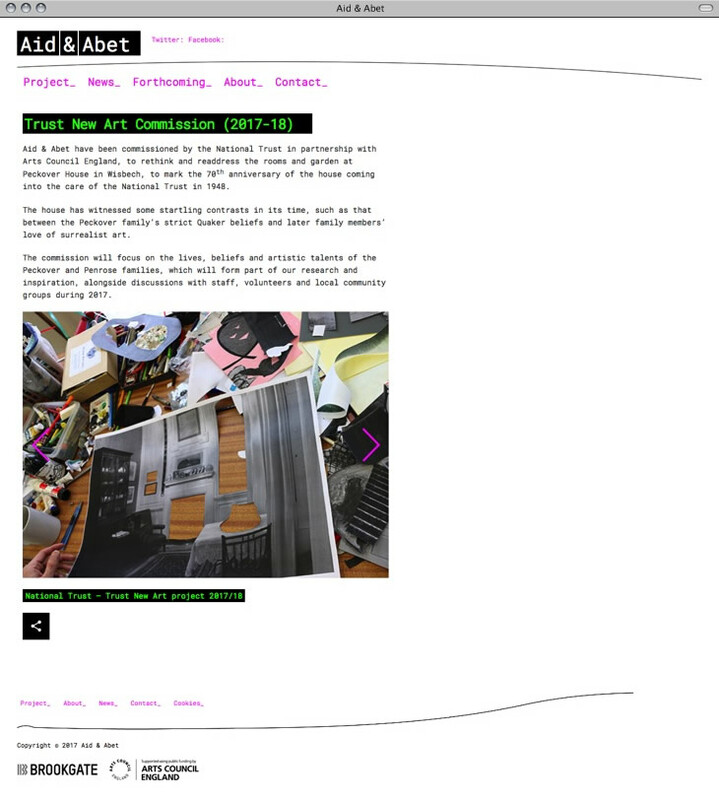 We were asked by long-term artist and colleague, Gareth Wild (Apropos Design), to realise his design in WordPress for Sarah and David. 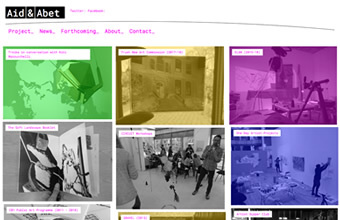 The design is unorthodox and presented a challenge when creating a theme in WordPress and for the screen, but the end result is both unusual and great fun to use, with clever use of CSS to colour the boxes and present different reactive styles.